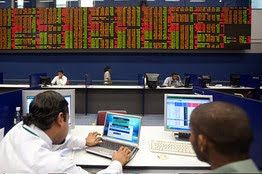 More stocks listed in Colombo Stock market joined the positive streak to post substantial gains on Thursday the 3 February, 2011 while International Monetary Fund (IMF) disbursed its sixth tranche amounting to US $ 216 million to Sri Lanka under the US $ 2.6 billion loan. Retail sentiment is bullish irrespective of the stagnation in some of the fundamentally strong blue chip counters according to brokers. Plantation and Manufacturing sectors were on the uptrend during trading hours. The All Share Price Index (ASPI) closed at 7,346.81 points rose up 1.16% by 84.55 points and the Milanka Price Index (MPI) rose 0.41% by 29.55 points closing at 7,180.49 points. Total turnover was at Rs.4.66 billion rose 12.74% with 136.64 million shares changing hands that topped 22.87% compared to previous day. However, foreign purchases dipped 29.5% to Rs.148.9 million and foreign sales increased by 14.52% to Rs.268.5 million. Price to forward Earnings Ratio (PER) appreciated by 1.09% to 27.8 times. Kotagala Plantations (KOTA), which grows rubber and tea, closed at Rss.209.50, increased by Rs.31.20. Among the top contributors were Sri Lanka Telecom(SLTL) closing at Rs.60 rose by Rs.4 at 6.93%, CT Holdings (CTHR) closing at Rs.234.90 up by Rs.10.90 at 4.89% and EB Creasy (EBCR) closing Rs.3,190 rose by Rs.722.50 at 30.10%. Bank, Finance & Insurance and Diversified sectors were the highest contributors to the market turnover while both indices increased by 0.34% and 0.50% respectively. Richards Pieris (RICH) made the highest contribution to the market turnover while the share price increased by Rs.0.90 (6.92%) and closed at Rs.13.80.Nearly 21 million shares of RICH changed hands. Three crossings were recorded including two crossing of Seylan Bank (SEYB) 1.5 million at Rs.96, Laugfs Gas (LGL) 400,100 shares at Rs.50 and 200,000 shares of Lanka Walltile (LWL) at Rs.170 per share. Vidullanka (VLL) announced an interim dividend of Rs.0.10 per share yesterday. Globally, Dow inched up in choppy trading yesterday, as investors paused following a strong run-up and fresh uncertainty in Egypt. Asian markets ended mixed in today, with Japanese stocks declining on worries over disappointing results from blue chips such as Panasonic Corp. Nikkei fell 0.3%. Sri Lankan Secondary Debt Market Treasury bond yields slightly decreased, while the market activity was high. Sri Lankan Rupee appreciated slightly as the exchange rate was recorded at Rs.110.92 to Rs.110.95 per US Dollar.